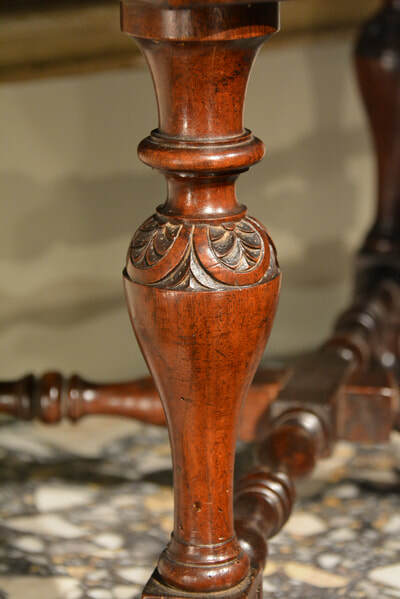 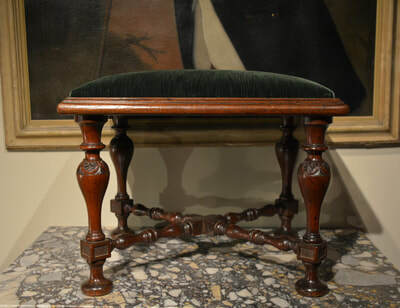 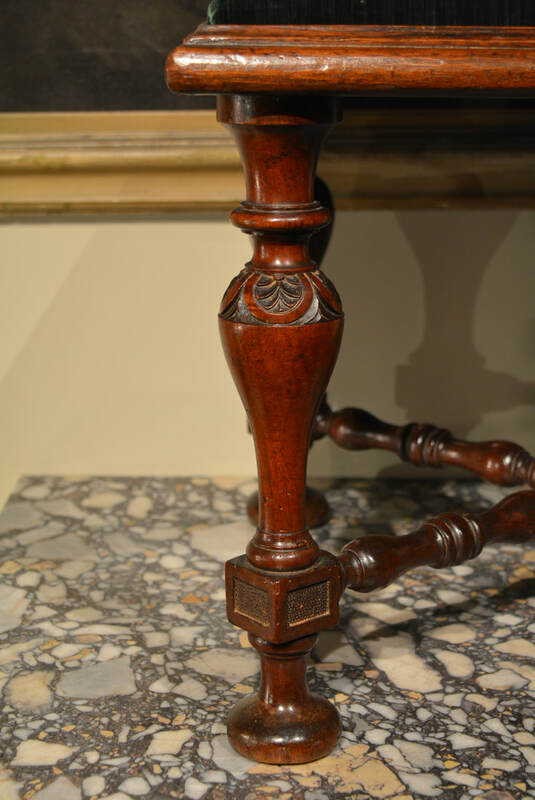 A rare 18th Century carved mahogany Kentian stool, the leg showing strong affinities with the settee designed by William Kent for Devonshire House, carved by William Linnell, and the painted settees at Rousham House carved by John Linnell. The drop in seat covered in dark green silk velvet. 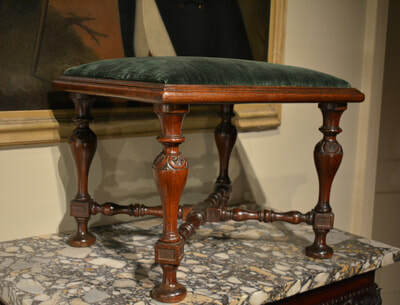 Height 18" Width 22" Depth 18.5"